Both speakers are in good working condition, they sound amazing. Lots of range for such a small speaker. Reluctantly selling my Sonus Fabre Venere 2.5 Black Gloss speakers. Moving to a smaller house, and having to downsize. These are amazing speakers! Excellent condition! I’m selling these just under market value and will include shipping within the continental US if the BUY IT NOW option is used. Thanks for looking! Up for sale is a beautiful pair of Sonus Faber Venere 2.5 speakers in excellent condition. Sold as-is in working condition. Without Manual or original box. frequency response: 50-25,000 Hz. magnetically attached cloth grille. bass-reflex (passive radiator) cabinet design. contemporary styling with leather-wrapped cabinet. What is Included: Pair of speakers only as shown. We specialize in well-cared for, previously used gear because that is what we are passionate about. We feel that there is nothing more fulfilling than creating a high-performance system on a budget with carefully selected used components, speakers and cables. 2-way Wall Mount Speaker. Adjustable Jointed Brackets. I can’t find any scratches or dings so it is in immaculate condition. The sound is just amazing. I can demo it if you like. Local pick up only. I am currently using it so you can hear it before buying. The Absolute Sound. We specialize in well-cared for, previously used gear because that is what we are passionate about. We feel that there is nothing more fulfilling than creating a high-performance system on a budget with carefully selected used components, speakers and cables. Other Notes: "I loved the Sonus Faber Venere 2.5s. One of the grills is also missing several magnets. The grill still sits flush with the baffle and appears flawless. This item looks like new from just a few feet away. Up for sale is this New in the factory box Sonus Faber 1.5 Gloss White Speakers. with noferrofluid. Sonus faber design. Sonus faber design. 1x150 mm driver. Free compression basket design and. Digital photographs are taken. Gently used for demo only. Stands are new. 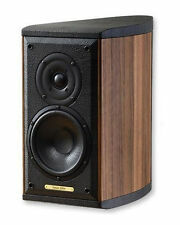 Pair of Sonus Faber Venere 1.5 Walnut Speakers New Condition. 2-way Bookshelf Speaker with Front Reflex Port. Gently Used, Excellent Condition. Nominal Impedence: 6ohm. It shows no signs of wear and tear and is for sale by the original owner. 21,30 Kg ea – net weight. 45,5 x 13,3 x 17,2 in. 1157 x 340 x 438 mm. 40W – 300W without clipping. SUGGESTED AMPLIFIER POWER OUTPUT. NOMINAL IMPENDANCE. Used Pair of Sonus Faber Venere 2.5 In Piano Black Finish. Speakers are in excellent Condition with Original Boxes. Equipped with a finely tuned mid-woofer and a woofer for dynamic mid's all the way through an impressive lower range. New pair of Sonus Faber Cremona M Floor Standing Speakers Light Graphite multicoated with medium gloss. Sonus Faber Olympica I + Olympica I Stands NEW! The Olympica I were used maybe twice, I wouldn't even consider them "broken in.". For sale is my Hi-Fi system. This is a gorgeous looking and sounding pair of speakers. Here is what Sonus Faber states regarding this amazing speaker Elliptical shaped enclosure crafted using sandwich construction techniques with 20 hand-selected wood layers of solid maple. The tempered glass on the base and top and the adjustable aluminium feet are materials that unite the Venere line and give a contemporary feel to every model. Sonus Faber Solo Center Speaker. This speaker looks mint with no major marks on the casing. Zero issues to the sound. For sale is the Sonus Faber Center Channel. Beautifully wrapped in leather and sounds excellent. Italian made. This speaker has been tested to ensure the best possible quality. The speaker box does have a significantly noticeable chip on the top back side. (shown in pics). Frei ght pickup available upon request. Other Notes: "In the Venere 1.5, Sonus Faber has produced a natural-, involving-, detailed-, and dynamic-sounding loudspeaker.". We specialize in well-cared for, previously used gear because that is what we are passionate about. Quickly and easily remove your existing panels and replace with a new color. Playing the Music You Love.A perfect sound is a right for all Music lovers. If you want to enjoy crystal-clear audio while you listen to classical music or watch movies, the new and pre-owned Sonus Faber speakers in this collection might be just the solutions you've been looking for. 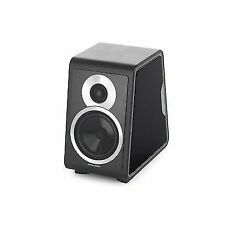 Keep the following factors in mind as you search for your speakers and subwoofers on eBay, and get ready to enjoy excellent sound quality at home. What types of speakers does Sonus Faber offer? Venere speakers: These types of speakers from Sonus Faber are relatively large bookshelf speakers that work best when you place them on top of your entertainment center. These high-end speakers contain both bass and midrange audio elements. Liuto speakers: The Liuto line is a type of loudspeaker, which means that it produces stereo sound whether or not it is used in tandem with a second speaker. These speakers are usually mounted on poles that have adjustable heights. Cremora speakers: These speakers from Sonus Faber stand on the floor, and they feature a number of different audio elements that create a deep range of audio. Minuetto speakers: These speakers are some of the smallest that Sonus Faber offers, and they are in the bookshelf-speaker class. In most cases, these speakers do not have front grills, and they are small enough to fit in a variety of different spaces around your living room. How do you set up Sonus Faber speakers? Sonus Faber speakers are high-end devices, but they usually connect with the same sort of speaker wire that you use with any speaker. Some Sonus Faber speakers may be able to connect to your audio system with wireless functions, such as Wi-Fi and Bluetooth, and others may connect with high-fidelity optical audio cords. To connect your new Sonus Faber speakers, simply connect the proper cords to the back of the speaker, and then run these cords to the corresponding receptacles on the back of your stereo receiver. Check the manufacturer's website for details. How do you pick the right speakers? The space where you intend to place your speakers plays a big role in the selection process. If you want the best sound quality possible, you should select floor-standing speakers, but some rooms might be too small for these mammoth audio producers, so a bookshelf style might be the better choice for you. Whatever size of speaker you're looking for, you can find a wide selection of affordable Sonus Faber speakers to suit your needs on eBay. Content provided for informational purposes only. eBay is not affiliated with or endorsed by Sonus Faber.